Shelby? Shelby? Are you there? You're the winner. Are you there Shelby? YOU ARE THE WINNER! YAY! Shelby, just send me your address and I'll forward that on to Cassie. 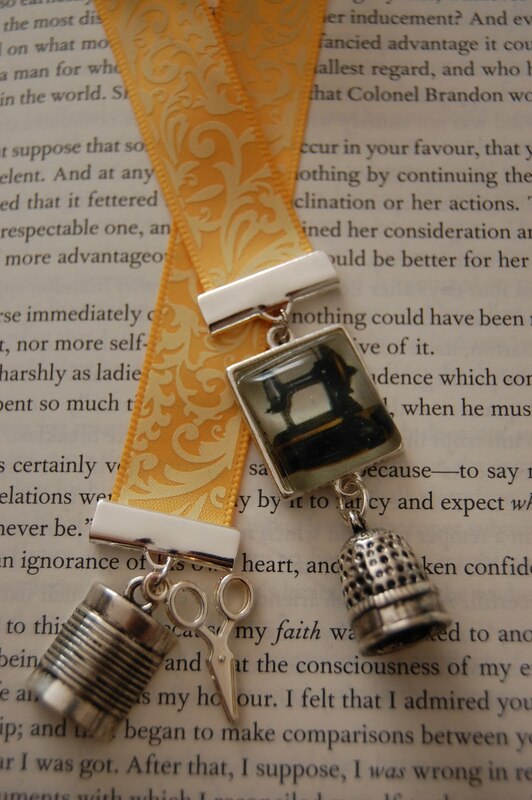 She'll be sending this BEAUTIFUL bookmark to you! Also, we had many of you say how much you loved the sewing themed bookmark, so Cassie has put three more in her shop for those of you who are interested. These make beautiful gifts. They make me want to stop sewing and actually read a book! Ha ha! stop sewing long enough to read? you are a funny lady. how are you doing? have you started your zig zagger?